A FIVE BOG TROLL HEAD RATING! The Complete Kobold Guide to Game Design is an intimidating and healthy 244 pages of collected musings, thoughts, insights and essays from a collection of industry names that should prove familiar to most gamers or would be designers looking to sit down and read through this book. At first glance, and yes by the assumption made from the books title, it would appear this book is strictly for the designers out there, a how to guide if you will, on how to make a successful game and thereby put your name on the map when it comes to the gaming industry. But looking through the chapters and essays contained within one discovers very quickly there is so much more to this book then first impressions. Written largely by Wolgang Baur, you will be treated to his insight on everything from borrowing concepts from throughout all of media and history, why MtG worked as a game, how one actually defines design, to nurturing one's own creativity. Wolfgang spends a great many chapters walking the reader through the many different aspects behind what makes a great designer, as well as why many will fall flat on their faces. He takes an unblinking look at the industry, and then reflects that here for the readers, which I have to admit, was refreshing. Far too many people are convinced they have the next great idea, and find themselves at a total loss when the whole o f the world doesn't agree with them. He even voices his opinion on Magic Item Creation ala RPG Superstar, he has judged twice now, and is well established to detail what works, and what doesn't. I can't help but think every gamer/designer who's ever considered publishing or submitting would do themselves a great service to spend some time reading at the very least the first section of this book, if not all of it. Section 2 takes us into what I thought of as the reason gamers would want this book, not that the material and thoughts of the first section were not excellent, but they were aimed more towards designers looking to publish, as opposed to GM's (who in their own right are designers, whether they realize it or not). Here is where this book really starts to attack the concept of how to improve one's game from the ground up. Chapters dealing with topics like plot design, handling city adventures, the underdark and what one can really do with it as an ecological setting as well as a built in monster infested killing field. Hordes, humor, mystery and hardboiled adventures, this section tackles several different topics I can honestly say I wasn't aware I had problems in until I found myself reading through these and realizing that I saw parts of my game in what they were addressing. Again, any GM worth his player's time should spend some time with this section. 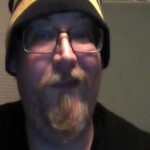 Colin McComb– Extensive writing credits with TSR, Malhavoc Press, Paizo, and Open Design. Rob Heinsoo – lead designer for D&D 4e as well as an extensive list of RPG, tabletop roleplaying, board, miniature and card games. Wolfgang Bauer – TSR, ICE, Open Design, just to name a few companies he has worked with. Won the eighth annual Diana Jones Award for Excellence in Gaming in 2008. So, 244 pages looking behind the curtain with some industry insiders. Very very few errors in editing, and by very few, I mean I think I found one. A must have book for both those looking to get into this industry, and those who merely want to play. I will admit, I did not know what to expect than I first saw this book, but by the end I was very happy that I turned the first page and kept reading, and I think you will be also. I think my biggest fear in tackling this book was page hypnosis, and since it was a fear of mine, I would like to address it. Page hypnosis, as I call it, is that trance state you hit when reading textbook material type writing for hours on end, where you're not really absorbing anything so much as you're just staring at it because it's so boring. Why would I be afraid of that? Because every guide on getting into the industry I've ever seen before this one essentially ended up being one of the most boring reads I ever tried to get through. The Kobold's Complete Guide handles this with a very subtle method, that I think shows a great deal of intelligence on Wolfgang's part. No matter how interesting someone is, when they are teaching the human brain will attempt to go on autopilot eventually, so this book breaks up Wolfgang's writing style by interspersing essays from the other game designers throughout, giving you multiple writing styles to keep it fresh constantly. Now, am I saying that any of the material is boring? No, I am saying that the format of having multiple writing styles, and therefore multiple “voices” in this conversation proactively help to keep the book fresh throughout the entire read. As I believe every GM and designer should have a copy of this in their library, I am going with a solid 5 star rating, but am adding the clarification, this is a collection of text. There is no pretty artwork breaking up the text, no game mechanics per say. This is a collection of insight into how to make the games we play that much better, and well worth the read, as long as when sitting down to read it, one understands that that is what they are sitting down to read.